Search is possible according to time and type of goods / services of shops / institutions. 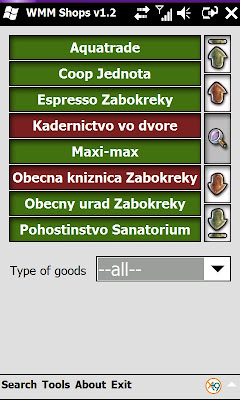 In the basic version of the application contains SK, CZ, EN language. To translation to other languages contact author. User fill database of shops and institutions in which they can then search by type of goods / services or opening hours. Search data can be sent to friends via SMS. If the shop / institution filled with a phone number can call it directly from the program. 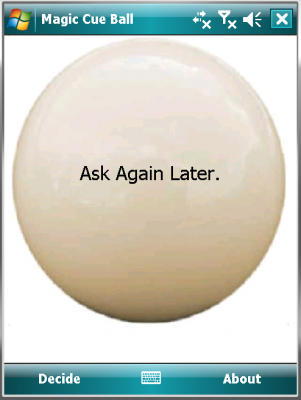 Candidates may share their databases. Export is part of the program. 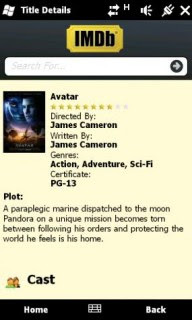 Then just a database logically and clearly rename and send author. Support program for players of Diablo 2 LOD programmed for Windows Mobile. 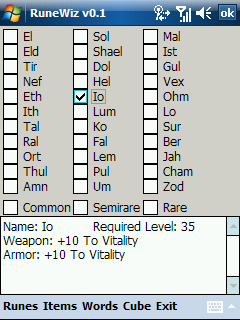 Choose runes, runic items and get the word. As a small bonus is also bundled with the recipe rune. CryptoWallet for Windows Mobile is a powerful and easy to use assistant for secure and convenient data managing. Keep your mind free from countless numbers and letters. CryptoWallet will get you organized and let you quickly find your important information including user names, passwords, credit cards, calling cards, bank accounts, PINs, and more when you need it most. 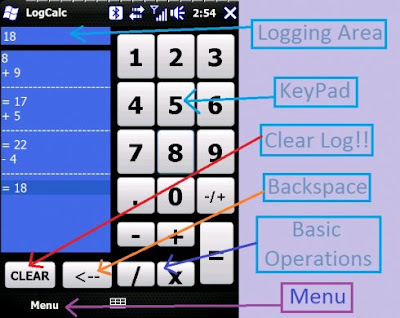 This Free Lite version allows you to perform a max of 10 consecutive calculations an unlimited number of times! 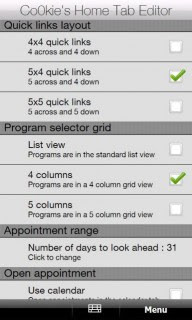 The Pro version allows an unlimited number of consecutive calculations. Tilt the device side to side to move the ball. 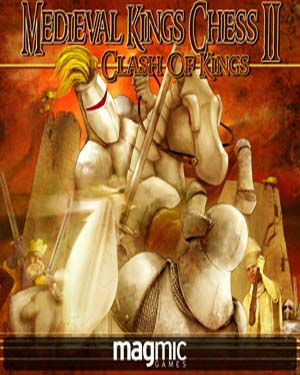 Touch the screen or use the arrow keys start and pause the game. Enter key exits the program. 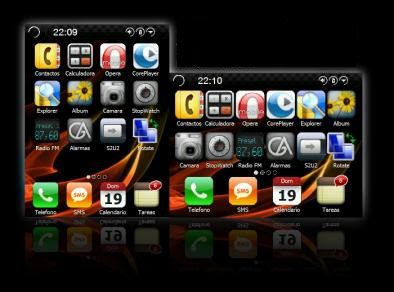 Available for HTC Touch HD/HD2,Touch Pro/Pro2 and Touch Diamond/Diamond2. 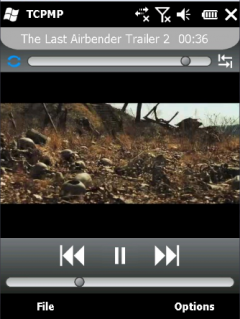 Also compatible with Samsung i8000 Omnia2, i900 Player Addict and B7610 (Louvre). 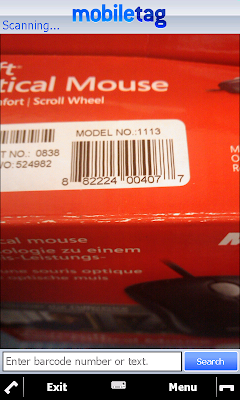 mobiletag barcodes reader is a free application allowing you to read any type of direct or indirect barcodes (Datamatrix, flashcode, fotokody, QR Codes, 1D UPC, EAN 13), by simply using your Windows Mobile devices’s camera. mobiletag application is a universal reader also integrates a price comparator: scan to compare product prices and find the best web or local store offers. mobiletag barcodes reader enables quick and easy access to your favorite web contents (videos, pictures, news, MP3…) and mobile functionality such as Vcard or text message. Simply open the application, follow the instructions on the homepage, aim the barcode with your camera and start experiencing mobile web contents without having to type anything at all. mobiletag barcodes reader for Windows Mobile devices works with any carriers (SFR, Orange, Bouygues Telecom, NTT DoCoMo, Vodafone, AT&T;, Sprint, Verizon, Telefonica, O2, T-Mobile…). mobiletag works with flashcode (France) and fotokody (Poland) eco-systems. Languages : French and English. (Other languages are coming soon). 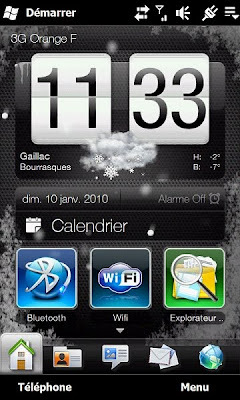 Windows Mobile Pocket PC: 5 , 6 , 6.1, 6.5 Available currently for: HTC Touch HD/HD2, HTC Touch Pro/Pro2, HTC Touch Diamond/Diamond2, Samsung i8000 Omnia2, Samsung i900 Player Addict, Samsung B7610 (Louvre). 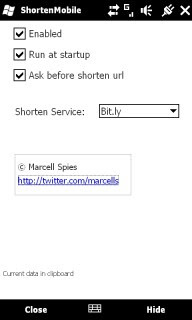 Now you can fetch the SMS from your device to the webpage. 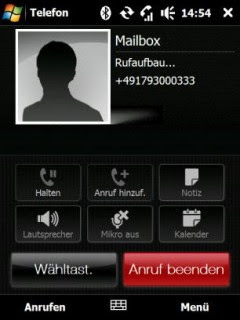 You can access your contacts over the Internet, send messages to them remotely from your mobile. In case you forget your mobile at home and app is not running Don't worry just send "Start Server" and it will respond to your command So then just access the website and all your contacts are in front of you and the Power to SMS them. Ok enough of description now the setup part. 1. Download the cab and install it. 2. 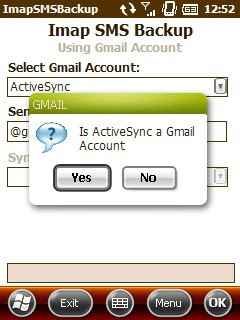 Look for SMS Server CP and open it. 3. 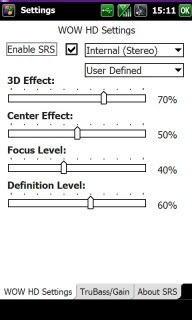 The app is simple but has some settings, we will now see those. 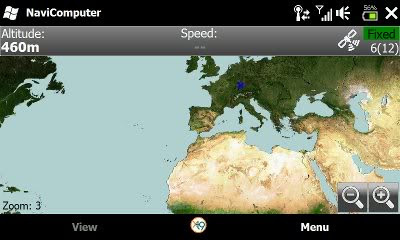 NaviComputer is a very nice GPS Tracking application and Offline Map Cacher. 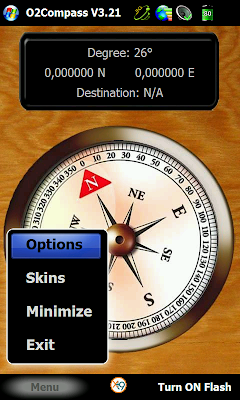 The NaviComputer package consists of a Desktop Application & Mobile Application. The Desktop part allows you to download various zoom levels into one .NMAP file from different various maps. The Mobile software for your Windows Phone can record tracks with statistics like time, distance, average speed and elevation profile, in addition to offering the same functionality as the desktop application. 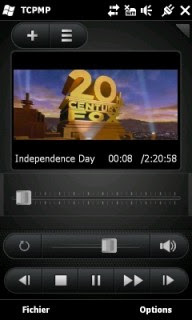 iPhoneToday is now Nobeing developed by a new xda-member tronikos. He has resumed development and released version 1.4 with some bug fixes and improved settings. 17. Scroll through the pages with the directional pad. 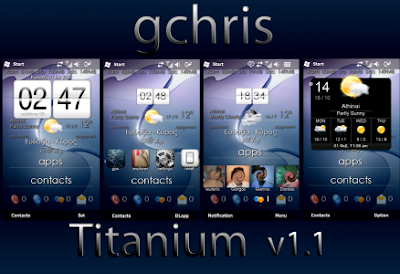 gchris 1.1 WVGA Titanium Screen Theme ( WM6.5.x ) is a new theme released by @mark@ from xda-developers. He has also released version 1.2.1 which has got a dark theme when compared to the 1st one. 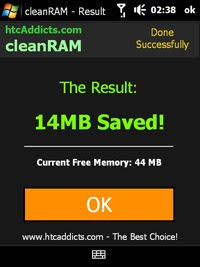 DarkDvr from xda-developers have released a car maintenance app for windows mobile phone. 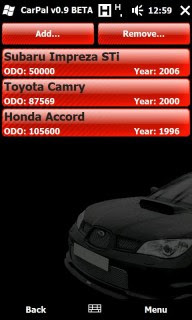 This windows mobile software would keep track of different maintenance tasks for your car. What makes this app different from the others is that you set how many miles you drive per day (on the average we drive same amount, give or take), that will allow the App to “predict” what your car’s odometer shows. Based on that (+ depending on how many days ahead you want the reminder to be) it will throw a reminder telling you about that particular task. 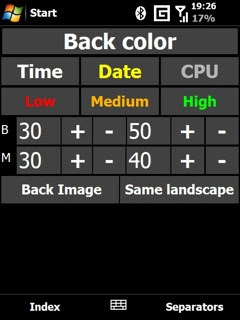 * Works with any “decent” resolution (Q|VGA, W|VGA, landscape + portrait). 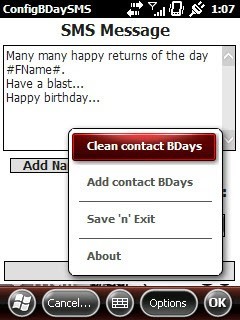 * Add additional details to your tasks, like locations, owners, etc. 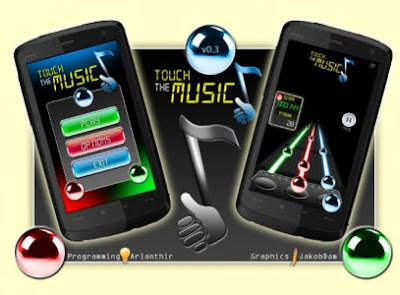 Touch The Music is a Guitar Hero like game for Windows Mobile Phone. You can tap the fret buttons on the lower part of the screen or you can use LEFT UP RIGHT hardware keys to play. If you want to quit the level, just press the RED (end call) key. 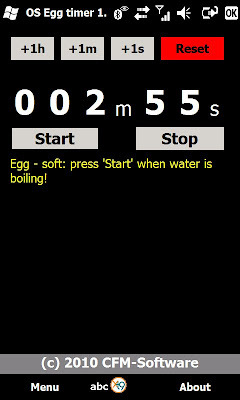 Alternatively, you can click the top right corner (where the framerate counter is located). Please note that with the hardware buttons you won’t be able to net those multitouch points. 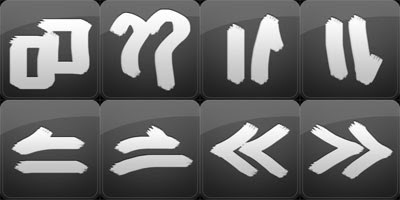 A singletouch easier mode is planned for future versions. The OPTIONS Menu doesn’t work yet. The developer is looking for graphics artists to help with the apps development. 2. 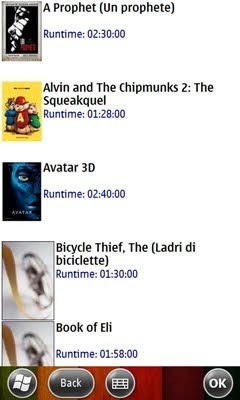 The “Download Thumbnails” feature is unstable. If you’re experiencing a lot of errors, switch this off & soft-reset the device. 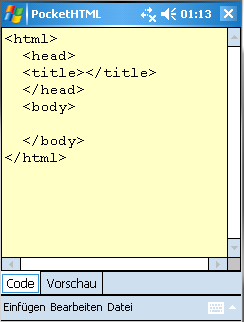 PocketHTML is a simple HTML editor for "takeaway";. 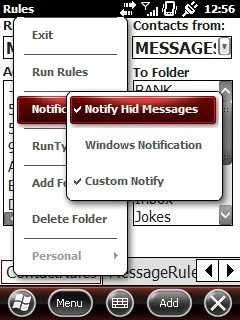 It provides predefined tag-shortcuts and an intern preview. 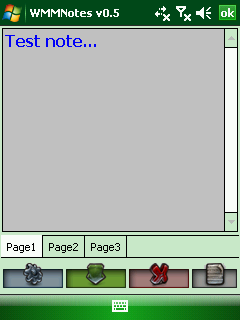 Also it got a build in "check for update" functionality. The software is just at the beginning of development, so many features should follow by the time. This is a freeware to search Indian STD codes (STD codes are telephone area codes). Option to search by City and search by STD code. All Indian STD codes included. Wildcard searching supported for city names. Resco Snake is an innovative approach to all time game classic - and accelerometer control of the snake is only a part of it. In this game you have to navigate the snake through four seasons, each with different levels, enemies and threads. Once you complete all the levels in one season there is always a final boss awaiting. And if the game seems too easy, there are 3 difficulty levels waiting for you. 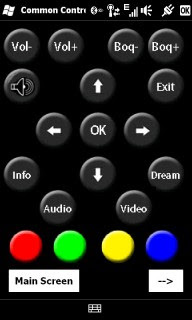 SciLor's WiMoBlue is little app that allow you to remote control your device with another device, which is perfect for emulators like FpseCE or Morphgear! 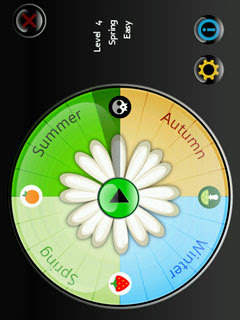 A compass application to Samsung Omnia 2 (i8000 ans i920) and Samsung Omnia Pro (B7610). 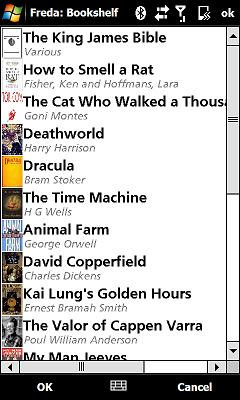 Pegasus is a coiled tubing application written for the Pocket PC. With Pegasus, coiled tubing calculations and references can be performed on-site without the need of a powerful desktop or laptop. This is a free version of Your Bill Whiz. Do you know the Tax percentage you’re paying for? 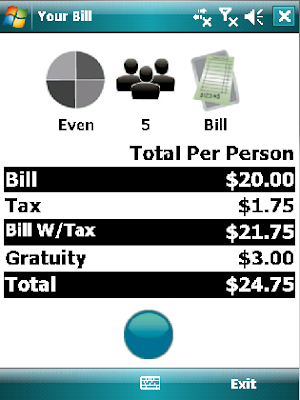 Your Bill Whiz makes it simple to manage your costs with both taxes and gratuities. It also allows you to split the bill with ease. 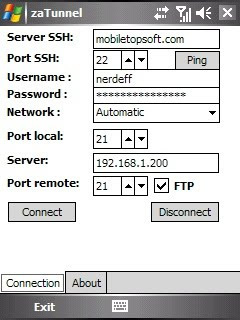 zaTunnel is SSH tunnel and port forwarding for Pocket PC. Tunneling, or port forwarding, is a way to forward otherwise insecure TCP traffic through SSH Secure Shell for Workstations. You can secure for example POP3, SMTP, Telnet, FTP, VNC and HTTP connections that would otherwise be insecure. 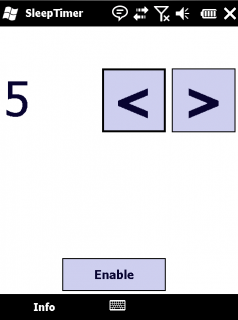 You can control not only SSH server but all computers in your intranet network. ZaTunnel is a SSH tunnel and port forwarding program for devices supporting Microsoft Compact Framework 2.0. ZaTunnel boasts a handful of improvements that make remote administration of Unix and other servers via Telnet/FTP/VNC protocol using mobile devices safely and more efficient. User name - Login name for SSH server. Password - Password for SSH server. 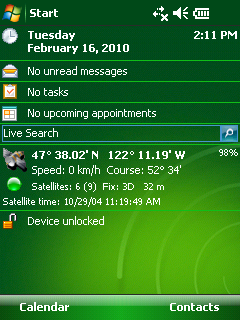 Network - Select preferred network type for Pocket PC. Port local - After connection, zaTunnel listen address 127.0.0.1 on this port. 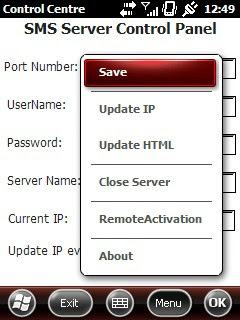 Your client like Telnet, VNC or FTP must use not real IP and port of your server but IP 127.0.0.1 and this local port. Server - Your server IP/URL. Possible intranet subnet address. Port remote - Your server daemon port. FTP check box - Check it, if you wish work with FTP protocol. zaTunnel supports passive mode of FTP only. Connect button - Start or restart connection. Disconnect button - Drop down current connection if it is active. Lyrics Finder brings all the lyrics in your hands, just type the artist or song title and hit search ! 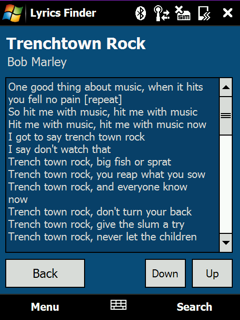 - cache your favorite lyrics for later offline access !